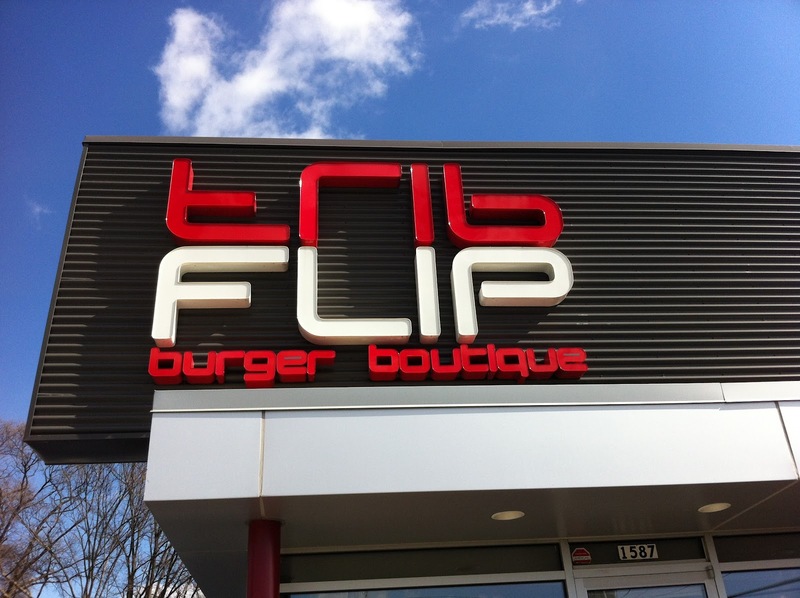 I think the first time we tried Flip Burger Boutique was well before I started my blog, shortly after it opened (early 2009, maybe?) One Saturday, we were downtown and decided to give it a whirl, iPhone in hand. Flip is the brainchild of Top Chef season 8 winner Richard Blais and is designed around his “new American” food sensibilities. This place is almost always packed, so we figured that 3:00 pm on a Saturday might be a time to get in fairly easily, and we ended up with the last two seats at the chef’s counter, at the Westside location. 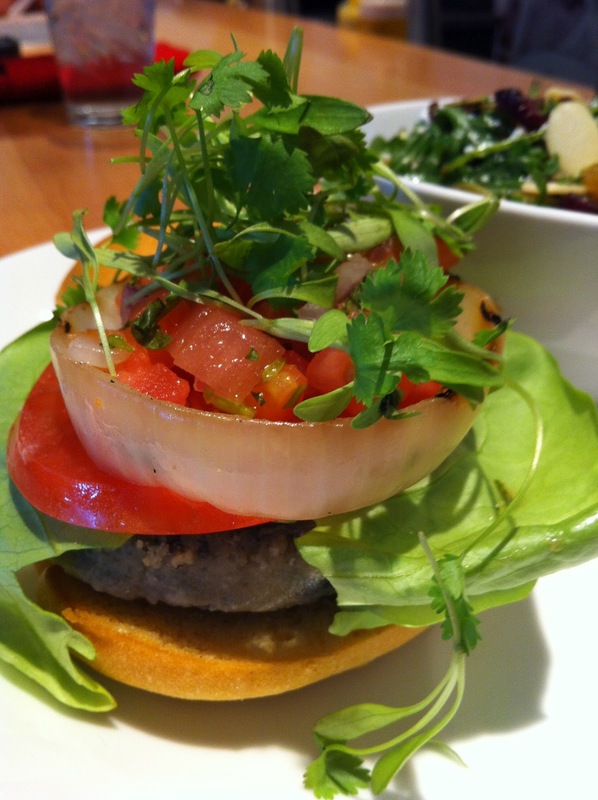 Jo had the veggie burger – house-made black bean patty, avocado puree, bibb lettuce, grilled onions, pico de gallo, cilantro and lime juice – and aside from the fact that it fell apart as she tried to eat it, she found it to be good. Making the healthier choices of the two of us, she also had a side red & gold beet salad with goat cheese and and trail mix. I, on the other hand, had gone there for a “burger”, so I had the RBQ – pulled brisket, (hold the) cole slaw, rbq sauce and smoked mayo A culinary winner. 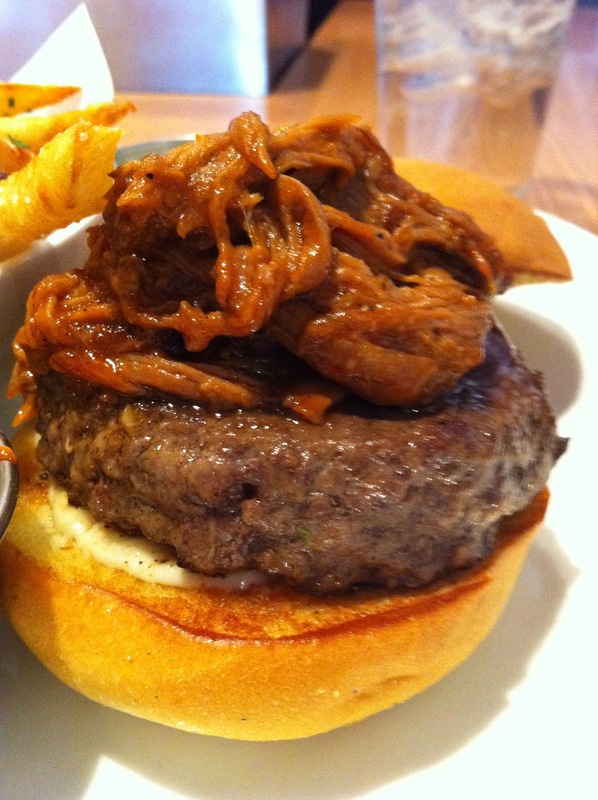 The pulled brisket was excellent, the sauce was just right (for me) and the burger was cooked as I ordered it. And the smoked mayonnaise? Decadently tasteful, especially on the fries. So the burger is really good, but what elevates Flip to the level meriting a return trip is “the shake”: a Krispy Kreme shake, to be exact, fueled with liquid nitrogen. Imagine what a Krispy Kreme doughnut would taste like if you could fill it with ice cream, freeze it and then throw it in a blender. 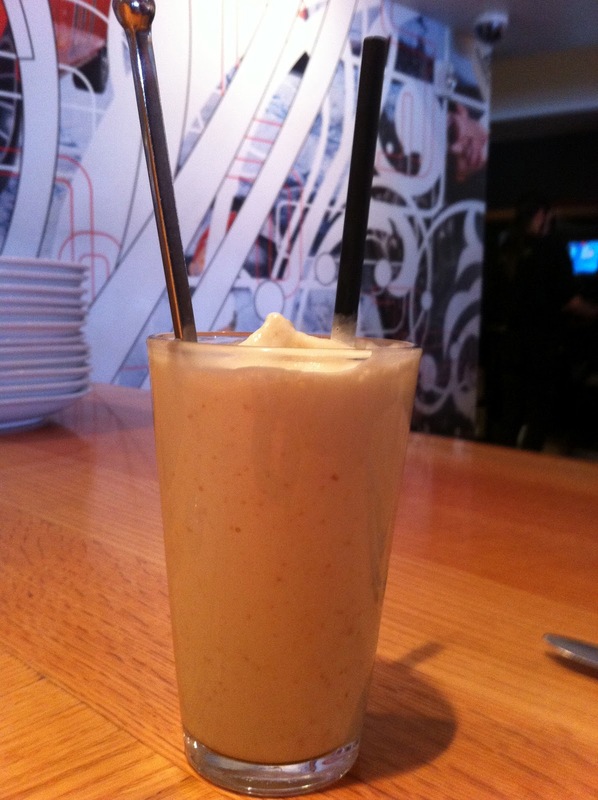 That’s THIS shake.